40+ years' combined experience in helping people get a fresh start. Affordable payment plans available. If you are currently drowning in debt, we strongly advise you to retain the immediate representation of our Bankruptcy Lawyer in Houston TX. For more than seven decades, we have helped a wide array of individuals reclaim their financial security. As such, we are fully equipped to assist you next. At Guzman Law Firm, we understand the stress and emotional exhaustion that go hand in hand with bankruptcy related matters. However, it is important for you to understand that you are not alone. Countless hardworking individuals throughout the Greater Houston area and across the state of Texas are facing the same financial difficulties that you are experiencing at this time. It is crucial to understand that there is hope for you and there is a light at the end of the tunnel. With our supportive assistance and personalized legal solutions, you may be enabled to begin your journey towards financial freedom. At Guzman Law Firm, you will find a passionate and experienced bankruptcy attorney in Houston, TX to help with your situation. Our Houston Bankruptcy Lawyer Can Help! When you choose the Guzman Law firm, you can be confident that you have made the right choice. We have the financial solutions that you need when you need them most. 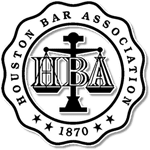 Our Houston bankruptcy attorneys have built excellent working relationships with the bankruptcy judges, trustees, and creditor bar representatives. As such, we may be able to help you obtain the upper hand in court. We maintain a high level of performance and professionalism. Additionally, we give each case the same level of scrutiny, preparation, and presentation. 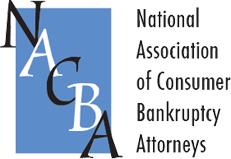 We are proud to assist our clients in their pursuit of non-bankruptcy remedies in order to maximize their financial position and further protect their eligible assets. If your case develops into a complex case, we have the extensive experience and access to specialized resources necessary to help resolve your case. 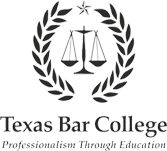 Do not hesitate to retain representation from our bankruptcy law firm in Houston, TX for your Chapter 7 or Chapter 13 bankruptcy matters. Free case evaluations available. Hablamos Español.